Audio-Technica announced their brand new 5040 Cardioid Condenser Vocal Microphone at the 133rd AES Convention this past weekend. 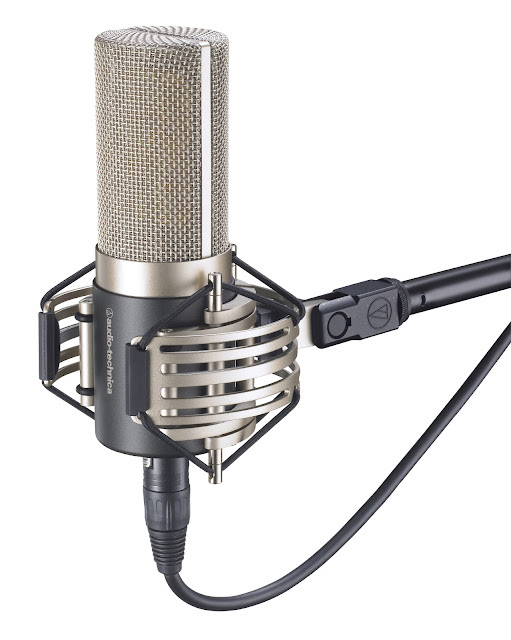 I'm a big fan of their AT4050 Microphone and used/owned one for many years. (Found a good home for it last year with a horn player). So I'm very curious to hear what the 5040 sounds like. "The AT5040 represents a milestone in condenser design, offering remarkably musical high-fidelity performance, with profound realism and depth, presence and purity of sound. Designed as a first-choice vocal microphone, the AT5040 features an extremely smooth top end with controlled sibilance. Large-diaphragm characteristics and fast transient response also make it ideal for recording acoustic instruments such as piano, guitar, strings and saxophone."